Of all the things San Diego is famous for, its 70-plus miles of coastline and near-perfect weather are probably its most well-known qualities. And if being near the beach is fun, being near the beach with a drink in your hand is... well, more fun. 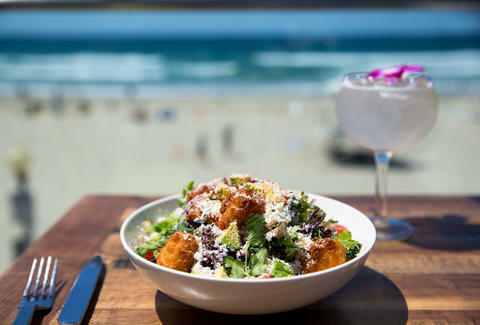 But given the nearly endless amount of SD bars located within spitting distance of the ocean, you don’t just want any beachside bar -- no, you want the best beachside bar. And really, that’s what we’re here for. Some are right on the beach, while others are a block or two away, but all of the water-adjacent watering holes below are perfect for walking out of the ocean and grabbing a cold drink (or three). 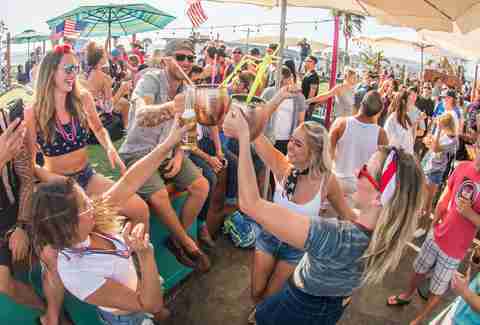 No bar in Pacific Beach draws a crowd more consistently, which, given that it’s PB we’re talking about, is a testament to Shore Club. The deck at this day drinking staple gets crowded on basically every sunny day (read: every day). 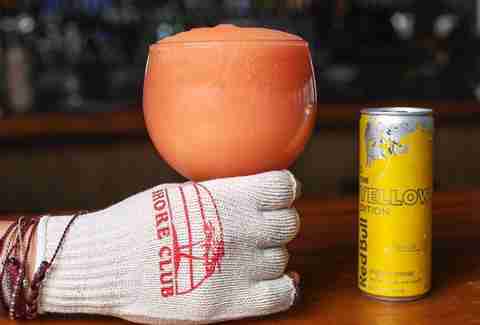 It also hosts Goldfish Race Wednesdays, which is exactly what it sounds like, and pours those famous Red Bull vodka slushies, which pack a hell of a punch. Don’t believe us? Ask Miles Teller. 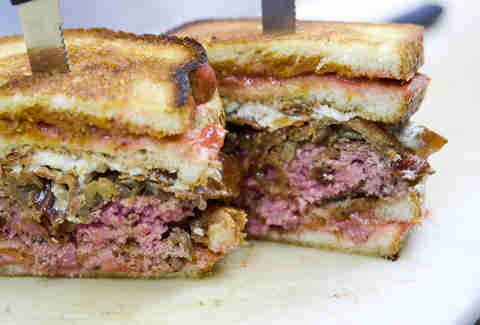 The Comber is a San Diego institution; it’s been around since the ‘40s, and it’s easy to see the lasting appeal once you step inside. Dollar drink specials, Bingo Mondays, and a crowd that ranges from retirees to college grads are just part of the charm here, and if you spend an extended period of time in San Diego without visiting The Comber, you’ve failed. Located maybe 100 yards down the road from Tower 13, The Kraken is a far different scene. This is a dive bar in every sense of the word, and the crowd definitely isn’t what you might call “young” -- but it is fun. There’s live music literally every day, cheap drinks, a MASSIVE pool area, and a crowd that doesn’t take itself seriously. Let your hair down, throw back a few drinks, and dance to the tunes of a middle-aged cover band. It’s a bit telling that one of the first Google suggestions when you type “Jimmy O’s Del Mar” into its search is “Jimmy O’s Del Mar cougar.” That gives you a general idea of what the crowd is like, and locals flock to the joint as it’s one of the only places in Del Mar that actually picks up at night. Go during race season for a bit of a bigger crowd. People treat weekend brunches at Wonderland like church, and the $10 bottles of champagne until 2pm help make for a pretty loose crowd by mid-afternoon. Just make sure you get in early, or you may never get a table. 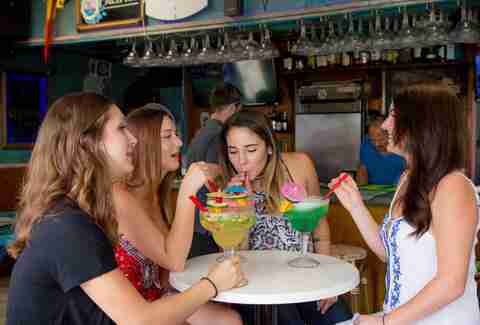 It’s located one block from the beach in Oceanside, has a great view of the Oceanside Pier, and the bartenders pour drinks like the world is ending. Strong drinks, beautiful sunsets, and a menu that includes treats like bacon-wrapped stuffed jalapeños and delicious mahi mahi tacos. It’s a great time. Sitting on beachfront property, Baja Beach offers two big benefits. The first, of course, is its location: you can’t get closer to the water at any bar in the city. The second is its killer happy hour: Baja Beach pours two-for-one drinks every day from 4-8pm, and every night from 10:30pm-12:30am. OB Brewery finally opened in 2016 after what seemed like an eternity in development, and as one of the best breweries in the city, it’s been a welcome addition to Newport Ave in OB. 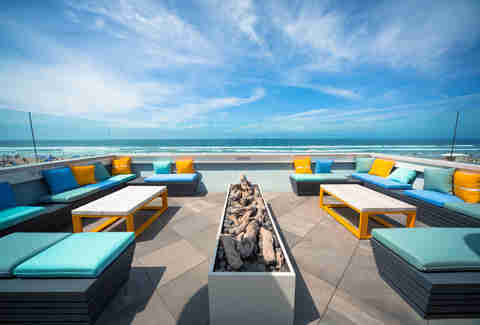 It’s a half block from the OB Pier, and its three-story rooftop provides an unparalleled view of the town. Formerly The Wood, El Prez really feels like two separate bars. The downstairs can be a bit clubby, and during football season it gets packed with people watching games while drinking aggressively. The roof, however, is a completely different story and vibe: it’s a laid-back, three-story rooftop with immaculate vistas and a carefree atmosphere. It’s basically impossible to have a bad time on the roof while the sun is up. North County’s dirty little secret when it comes to beach bars is that there aren’t a whole lot that have actual views of, well, the beach. The hilly topography probably has a lot to do with that, and while Tower 13 might not be the most rollicking spot for late at night, it does have immaculate real estate. The views from inside the bar are great due to the huge windows that line its walls, but the real key with Tower 13 is to snag one of the picnic tables outside around sunset. It has cheap drinks, live music multiple nights each week, and a killer Taco Tuesday. 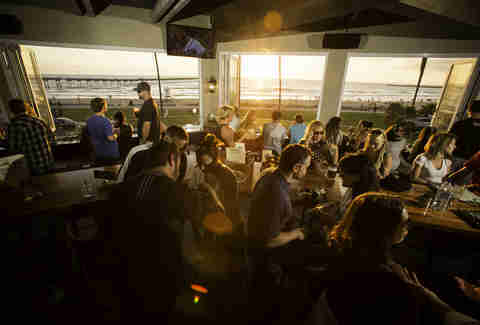 There might be nowhere better to people-watch in San Diego than on Cannonball’s rooftop. 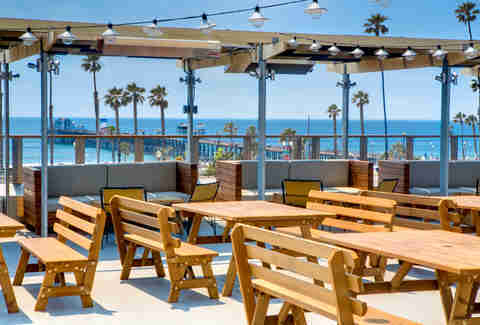 Located right behind Belmont Park, Cannonball’s rooftop is on Ocean Front Walk, allowing you to scan the hordes of tourists than crowd Mission Beach on any given weekend. Plus, it serves up some delicious sushi. And who doesn’t love crushing beachside sushi? Rob Pursell is an East Coast transplant who spends his time exploring Southern California and far too much of his paycheck at local breweries. You can follow him on Instagram @robpursell.